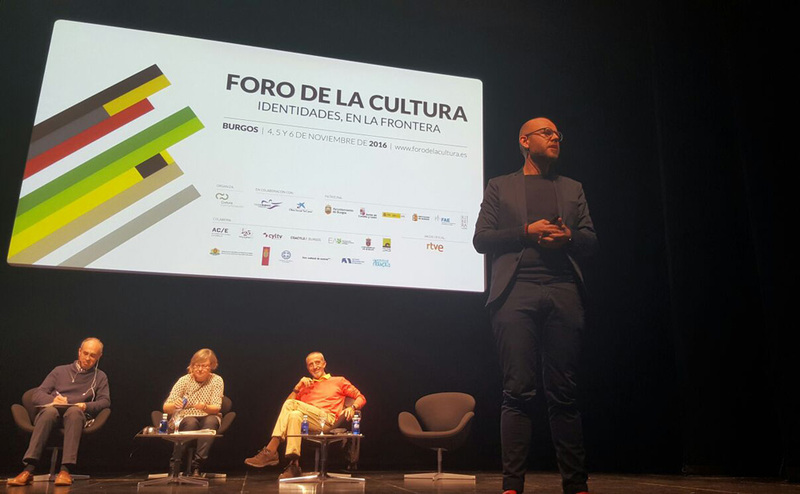 In the beginning of November 2016, arki_lab, invited by the Danish Embassy in Spain, Foro de la Culture and City of Madrid, travelled to Spain to be a part of several events around citizen involvement and empowerment. Below is a summary of what we did in Spain as well as our reflection on what we experienced there. The economic and political crisis that has hit Europe in the first decade of the new century has not left Spain unharmed. In fact, it has caused what we know as the Great Spanish Depression. In such context, a great demand for change and innovation has evolved and new political parties and social movements have emerged to tackle the problems posed by the traditional organisations and governance structures and to amend the ways that the public institutions function. Podemos party in Spain is a child of this line of thinking. Now the second biggest party in Spain, Podemos is tackling the issues of inequality, corruption and unemployment through adopting the ways of direct democracy. Consequently, budget allocation strategies are shifting in Spain and citizens are getting a chance to propose and deliberate projects and therefore, the face of the Spanish cities are slowly changing. 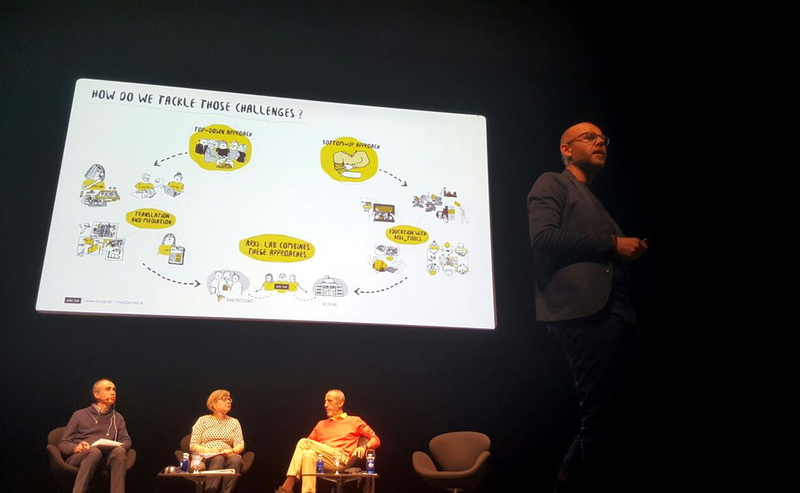 In light of the current changes, our office took part in a round-table discussion in Burgos, as well as Madrid, and to conduct a masterclass about our approach to engaging citizens as well as our tools and methods to do so. 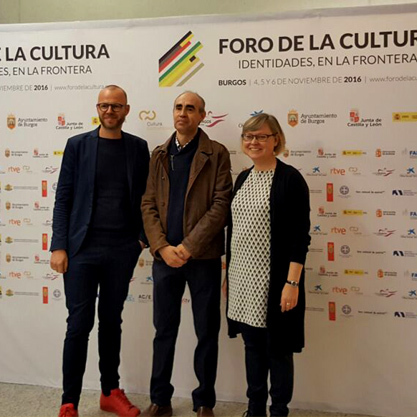 The Spain trip started at Burgos with Rasmus taking part in a round-table discussion at Foro de la Cultura, with Minna Harmanen from the Finnish National Board of Education, and the Spanish sociologist Mariano Fernández Enguita. The topic of discussion was rethinking the traditional classroom setting in order to build critical minds through education. Rasmus used our work at arki_lab as an example of how the traditional ways of teaching could be challenged and how the Danish culture of valuing “Dannelse” equal to and even more than “Uddannelse” (education) has been a way forward to bring up more conscious, more responsible and more discerning citizens. 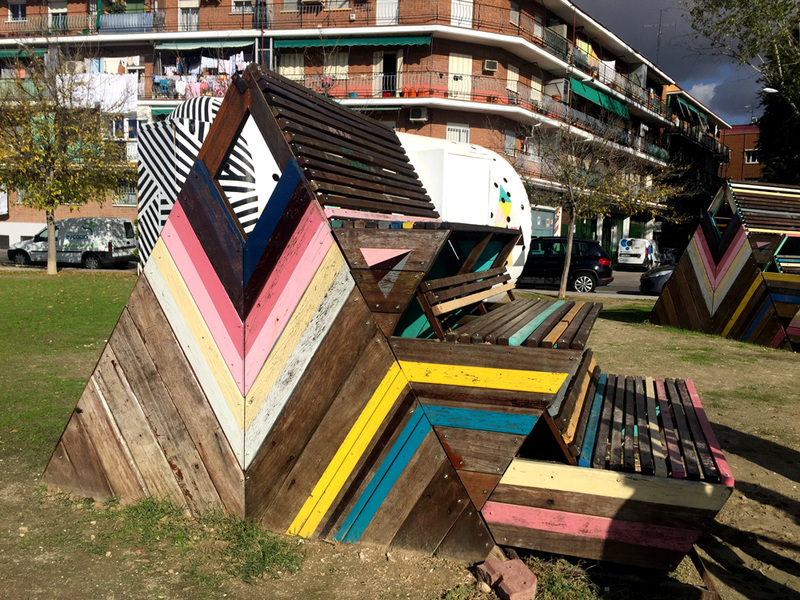 The trip was continued with taking a train back to Madrid, where our other co-founder, Jeanette, joined Rasmus for a tour around Matadero, a creative incubator in Madrid (check out this fantastic place if you haven’t heard about it before) that among other things, redefines the cooperation models between public and private sectors in order to give everyone a bigger opportunity to realise their projects. 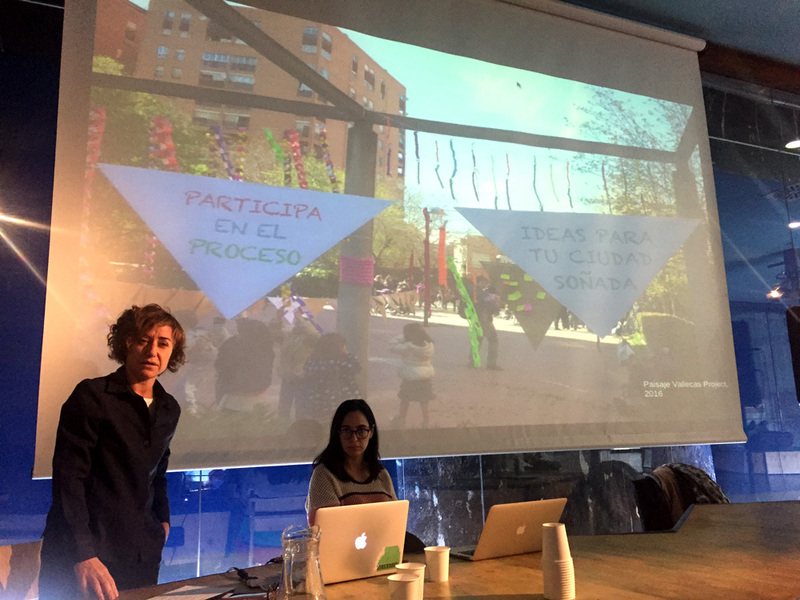 At Matadero, Rasmus and Jeanette shared our knowledge of citizen engagement with “Intermediæ”, a laboratory stationed in Matadero, that is focused on social innovations that are driven by participation. 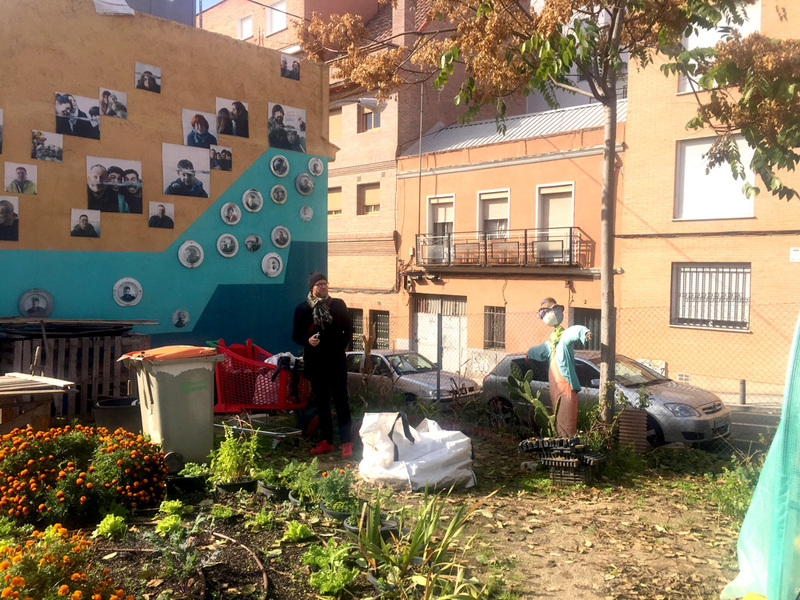 The next part of the program was to take a tour around Madrid and visit some of the grassroots and participatory projects. 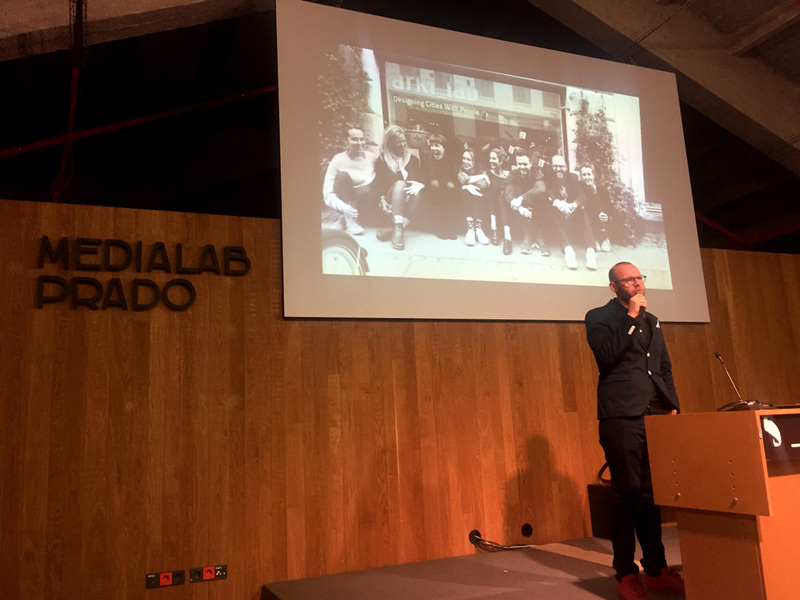 This tour ended at Media-lab Prado, where Rasmus and Jeanette took part in another round-table discussion about citizen involvement and finally, the Madrid trip was rounded off with a masterclass given by Rasmus and Jeanette, to share our knowledge and experience of working with a wide range of people with the interested participants. This Spain trip has been very inspiring for us and we are positively surprised by the great amount of enthusiasm present amongst especially the younger Spaniards to make a change by being active citizens. 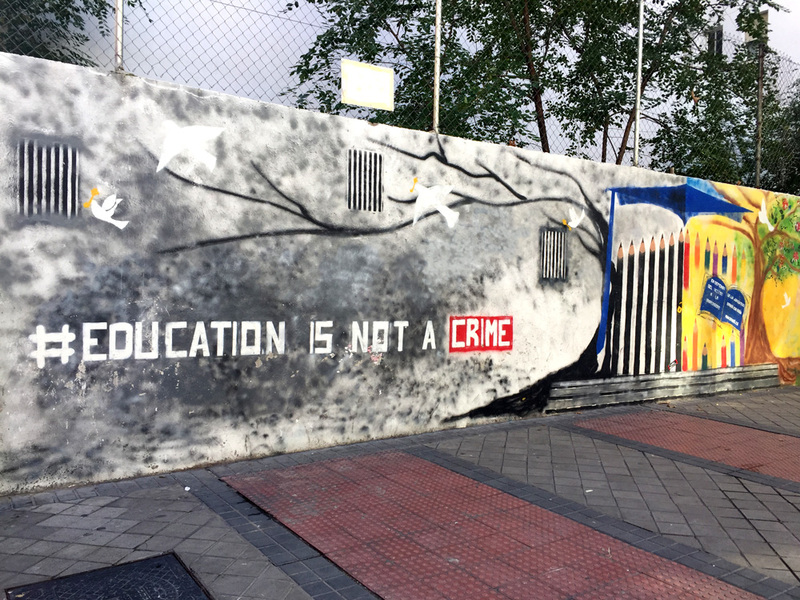 The challenging social and economical situation in Spain has driven the young generation to be more creative than ever before and to think outside the box in order to find their way out of the tough times. 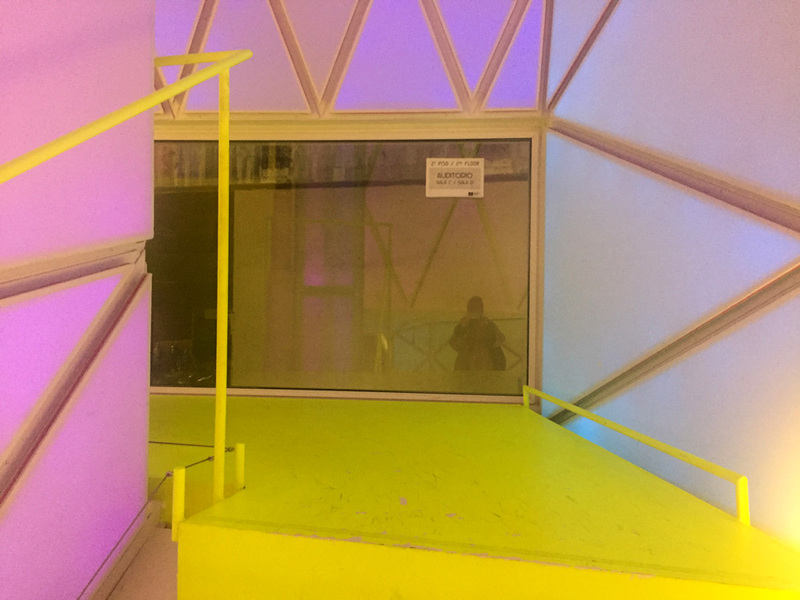 However, our professional experience tells us that this amazing passion and enthusiasm has to be coupled with long-term planning to nurture versatile and conscious citizens who actively participate in civic processes that shape their living environment. It is only through education and increasing awareness that we can embed an all inclusive, democratic culture. We very much hope that we can be an active part of this hot citizen involvement conversation in Spain and we are of course honoured to be invited to Spain to share our experience in the filed with our fellow Spanish speakers.